Less than two weeks before voting in Iran's presidential election, incumbent Hassan Rohani has risked crossing the political establishment's "red lines" in an unusually blunt attack against two conservative rivals. 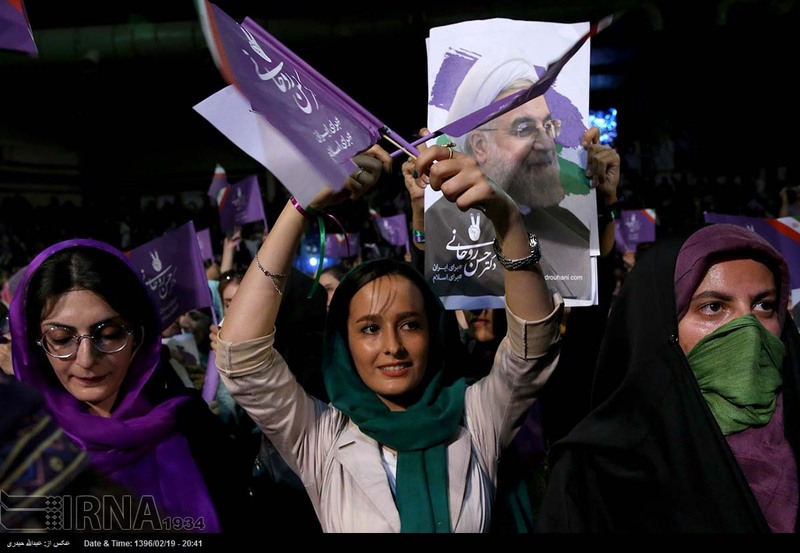 In a campaign speech in the western city of Hamedan, Rohani said on May 8 that voters did not want someone who in the four decades since Iran's revolution has only known how to "execute and jail." That appeared to be a reference to hard-line candidate and cleric Ebrahim Raisi, who is said to have condemned many political opponents and opposition activists to death during a spate of thousands of summary trials in the 1980s. 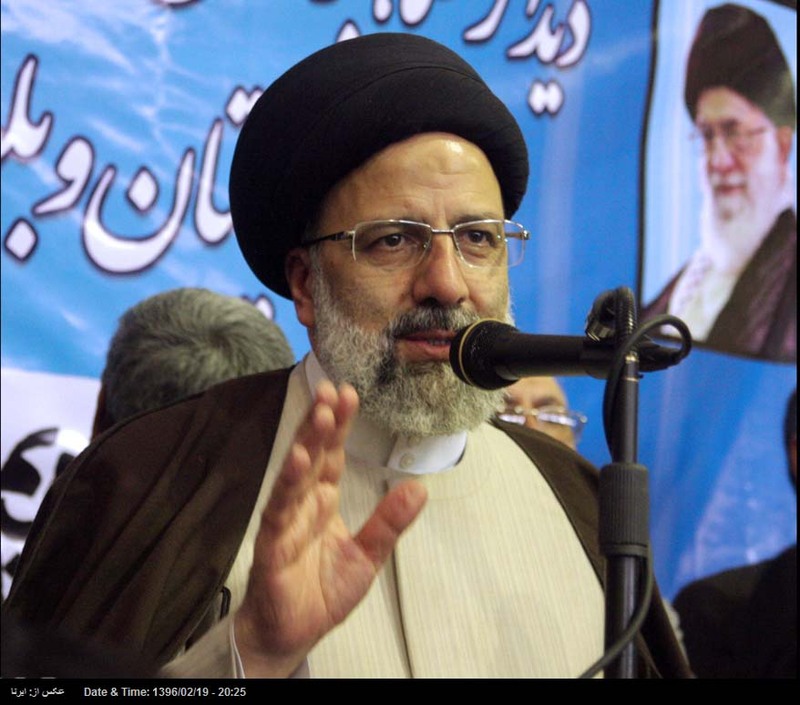 Raisi spent years in senior regional and national posts in Iran's powerful judiciary, which plays a key role in enforcing state repression and silencing critics. Iranian political analyst Taghi Rahmani called Rohani's tactic potentially "risky," because it could anger powerful hard-line interests, including within the Islamic Revolutionary Guards Corps (IRGC), a branch of the military, and the judiciary. The 68-year-old Rohani is seeking a second term against five other candidates in voting on May 19, including prominent conservatives Raisi and Tehran Mayor and former prosecutor Mohammad Baqer Qalibaf; reformist First Vice President Eshaq Jahangiri, a Rohani ally whose role appears largely aimed at bolstering his incumbent boss's own bid; former Culture Minister Mostafa Mirsalim; and former Iranian National Olympic Committee head Mostafa Hashemitaba, a centrist. Rahmani said by telephone from Paris that with the president part of the governing order, "by attacking Rohani, Raisi and Qalibaf are also, in a way, attacking the establishment." While political debate can be lively in Iran, there are "red lines" that unelected authorities routinely enforce to discourage perceived attacks on the political establishment, and all six presidential candidates were vetted by electoral authorities from around 1,600 applicants. The mass executions in the decade following Iran's 1979 Islamic Revolution -- in many cases after trials that lasted just minutes -- are a divisive topic in Iran. Earlier this year, the son of dissident cleric Ayatollah Hossein Ali Montazeri was sentenced to 21 years in prison for releasing an audio recording of his late father lashing out at the authorities, allegedly including Raisi, for carrying out the killings. The deadly repression followed a religious order, or fatwa, issued by the founder of Iran's Islamic regime, Ayatollah Ruhollah Khomeini. Montazeri was later granted conditional release. In Hamedan, Rohani also targeted Qalibaf over reports that the mayor had promoted a particularly intrusive form of gender segregation. "They once decided in a meeting to create walls on the sidewalks in Tehran," he said. "They also issued an order for the segregation of males and females in the workplace." Gender segregation has been imposed to varying degrees on the Iranian public since the revolution and the creation of the Islamic republic. Iran has famously banned women from many men's sports venues, young men and women must sit in separate rows in university classes, and all subway trains in the capital have compartments for women. Hard-liners have unsuccessfully pushed in the past for segregation in other public places, including health institutions. Rohani won the vote in 2013 pledging to do more to erase legal and other forms of discrimination against women, and urging greater openness in a religiously dominated society where state censorship is ubiquitous and curbs on free speech are manifold. Speaking hours earlier in Orumieh, Rohani also lashed out at opponents who accuse him of intolerance to criticism. He said that "those who cut out tongues and sewed mouths shut" are now speaking in favor of freedom of speech. 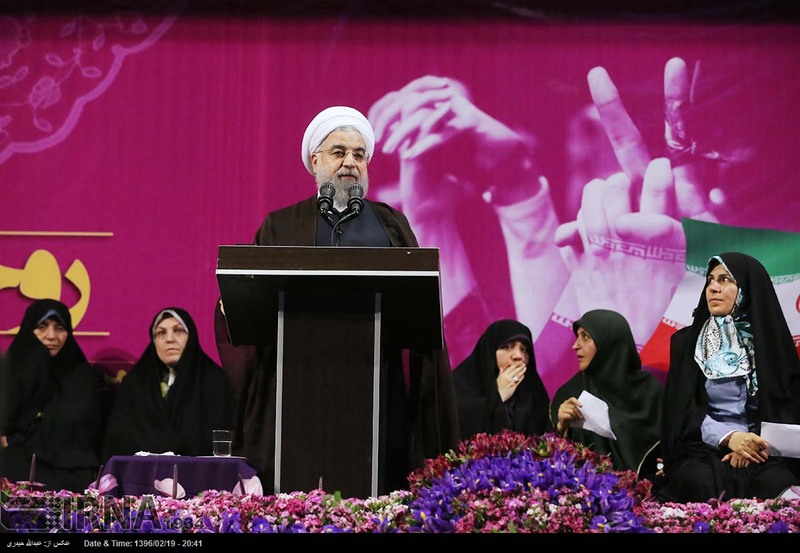 "Please don't speak of freedom," Rohani mocked his challengers in a speech to supporters, "as freedom will be ashamed." "You work in a body that no one dares to criticize even once," the Iranian president said, in what appeared to be a reference to the judiciary. The allusion to the mass killings of the '80s were not the only time in this campaign that Rohani has broadsided conservatives. In a televised presidential debate on May 5, Rohani blasted the IRGC for allegedly attempting to sabotage Iran's 2015 nuclear deal with world powers by conducting provocative missile tests with an anti-Israeli message written on a missile. "We saw how they wrote slogans on missiles and showed underground [missile] cities to disrupt the nuclear deal," Rohani said. Criticism is rare in Iran of the IRGC, which wields considerable power in the political, intelligence, and military sectors. A Tehran-based observer who asked not to be identified for this article argues that Rohani is aware that launching tough attacks on hard-liners is popular among Iranians who are frustrated with official interference in their cultural and private lives by the clerically dominated elite. "He knows rightly that this kind of challenge and attack is what many of the voters want to hear," the observer says. The observer adds that Rohani's harsh tone appeared to indicate his frustration with hard-liners and the unelected bodies they control for attempting to block his work, including the deal that curbed Tehran's controversial nuclear work in exchange for relief from some international sanctions. Raisi and Qalibaf have each accused Rohani of failing to translate the nuclear compromise into improved standards of living for Iranians. Last week, Tehran's temporary Friday Prayers leader, Ayatollah Ahmad Khatami, warned presidential candidates not to bring the Islamic establishment under question. He said candidates should have the interests of the establishment in mind and refrain from making comments that weaken it.